We present a simplified version of the threshold dynamics algorithm given in Esedoḡlu and Otto (Commun Pure Appl Math 68(5):808–864, 2015). The new version still allows specifying \(N\atopwithdelims ()2\) possibly distinct surface tensions and \(N\atopwithdelims ()2\) possibly distinct mobilities for a network with N phases, but achieves this level of generality without the use of retardation functions. Instead, it employs linear combinations of Gaussians in the convolution step of the algorithm. Convolutions with only two distinct Gaussians is enough for the entire network, maintaining the efficiency of the original thresholding scheme. We discuss stability and convergence of the new algorithm, including some counterexamples in which convergence fails. 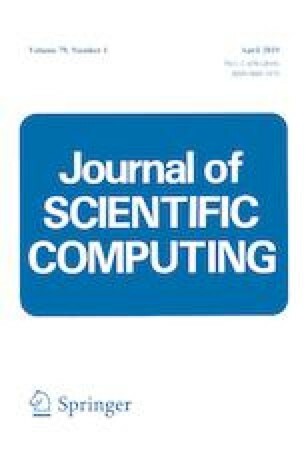 The apparently convergent cases include unequal surface tensions given by the Read and Shockley model and its three dimensional extensions, along with equal mobilities, that are a very common choice in computational materials science. The authors gratefully acknowledge support from the NSF Grant DMS-1719727.